L – Looking Back – Should I Bother? Feeling sorry for myself became an art as I sat at the bar, drowning my sorrows yapping about my pathetic life (which was everyone else’s fault, by the way). I used to be hung up on the “why” of the past. Why did this happen to me? Where did I go wrong? Why me? WHY ME? WHY ME?! The trick for me is to look back, learn and move the hell on. It’s true, I have learned from the past. 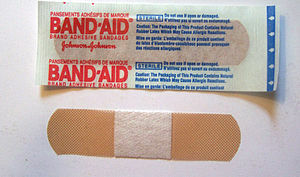 I learned that drinking and drugging were transparent band-aids that masked my misery while pouring salt in my wounds. That is a part of my past I cannot forget. Ever. But, I had to get over it… the pain, the sorrow and especially the feeling sorry for myself. How would I do that? After all, I was great at feeling sorry for myself. I was great at sitting in my own crap while I donned the face of misery and self-pity. I should bother to look back, but only to learn and share. Good moring, Lisa… I hope you have an amazing day today! Too true. Great insight, as always! You continue to show such wonderful balance and maturity. God bless, Darlene. Thank you, David.. Have a blessed day today.. Looking back is important to see where you were, looking ahead is to see where you are going and to adjust course from time to time. Where you’ve been is part of your identity and makes you who are. The ability to adjust course is the most important part of being human and what separates us from other animals. Keep forging ahead! Look back if you can learn from the mistake. Then focus your energy forward! I read in an article somewhere about the traumas of the past and the agony of losing time from those traumas. They suggested that you SHOULD take time to look back and mourn for what you’ve been through. To give yourself time to do that. But then let that just be for that moment you’ve given yourself and to move on the remainder of your day. I think that’s a good idea and I am trying to do that. The article said it’s a way of giving acknowledgement to the past and not burying it. I don’t know if that’s helpful long term, but hey…worth a shot right? Definitely worth a shot.. 🙂 I think it is different for everyone… but acknowledging the past and learning from it to move on in life is absolutely a great idea! Thanks for stopping by..